Eleanor came to chambers which's prepared for Richard and her. She was so excited to be here and she cant wait to meet queen and king. 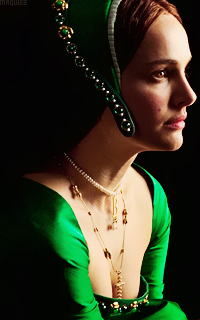 She waited servants carried all their bags here and she looked at Richard after they left. "I can't believe we're here!" she said with a big smile. Well...this means that if you will fall down, I'll take you quickly in my arms. You know you're safe and comfortable here, right? The night closed in around them like velvet covering the moon. She looked out the window overlooking Whitehall palace, hope raising inside her at this new start for Eleanor and her husband. Although it was spring, there was a layer of virgin white snow on the ground which tempted her. "After we have washed from our travels, shall we go and explore." Of course, your wishes are law for me. England is beautiful in this season, especially with snow. Are you happy? We are both staring into each others eyes - She rests her head against his broad chest placing a tentative hand on him - Tears sting Eleanor's eyes - I never wish for us to be parted for so long again. This will never happen again. I swear it on my honour, my love. Only now, I see how much you're precious to me, Eleanor..